The Center is working to end homelessness in Hollywood. They operate as a day center for individuals seeking services and community through offering engaging groups and classes. They believe that providing someone a home is not enough without the support of an inclusive community. Every day they provide a safe and encouraging space for those experiencing homelessness on our streets. The Center’s staff creates and sustains an environment where participants are encouraged to thrive and flourish, through groups and community engagement. 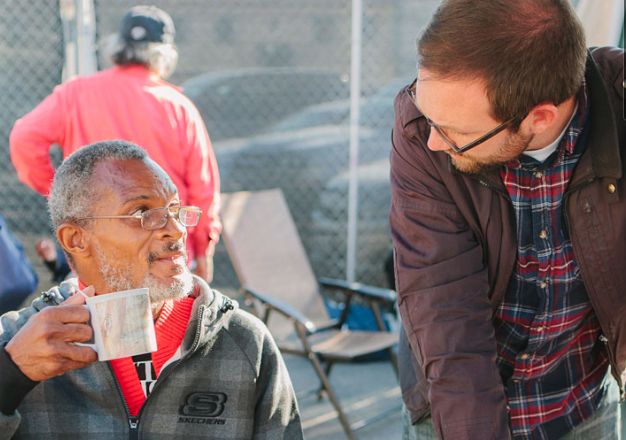 The Center has become a hub of leadership in the fight to end chronic homelessness in Los Angeles. As one of the Coordinated Entry System (CES) hubs for the metro region of LA, The Center works to coordinate dozens of other agencies in the effort to place into permanent supportive housing those who need it the most.